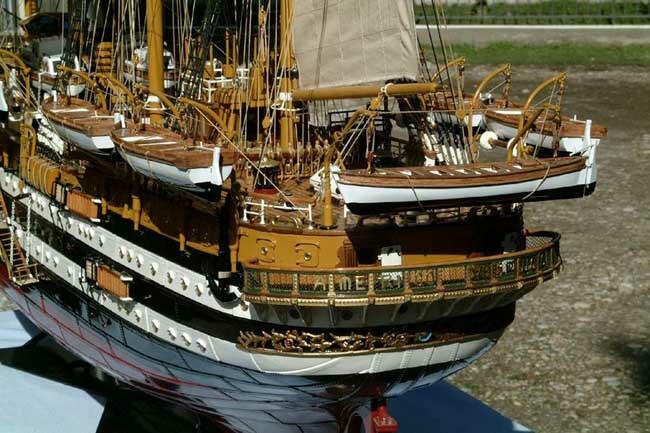 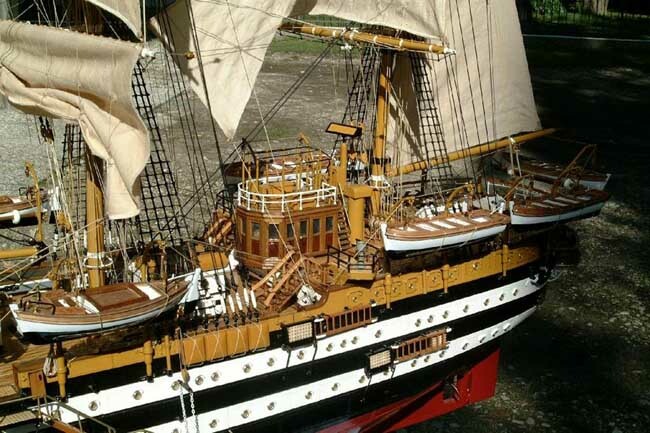 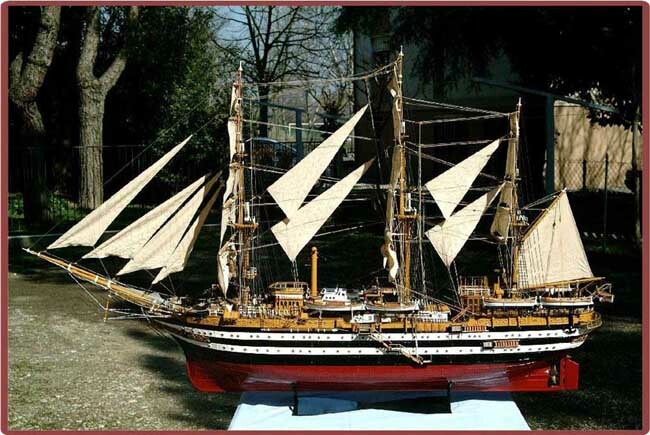 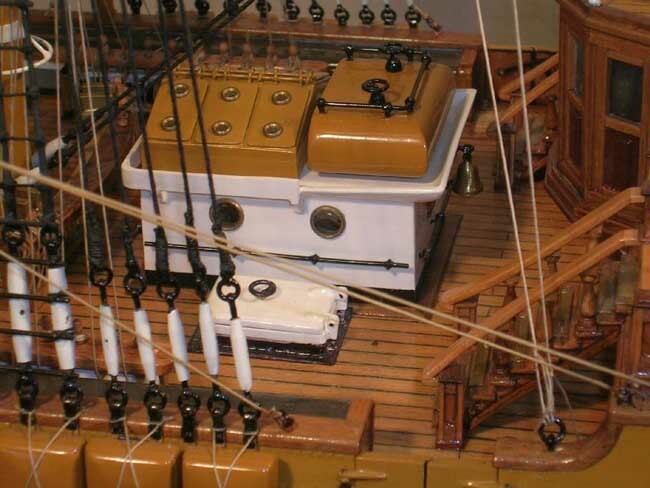 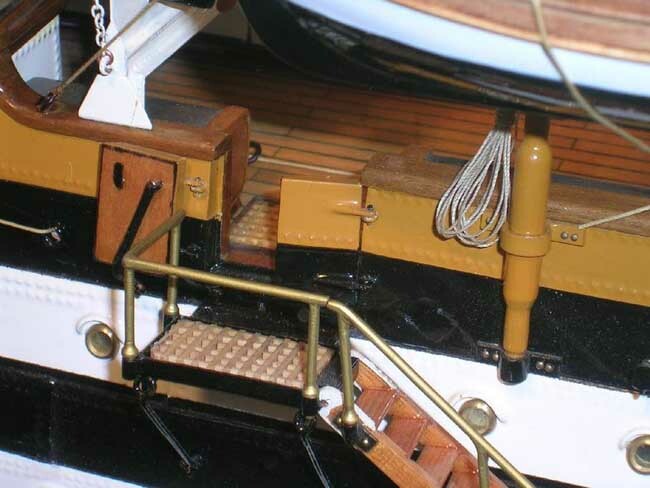 The following model of the Amerigo Vespucci was built by Giancarlo Gambato. 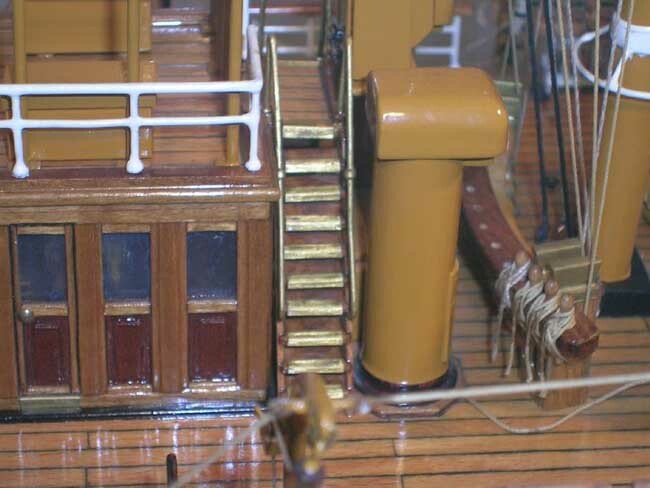 In a scale of 1:63 this model has some wonderful detail work. 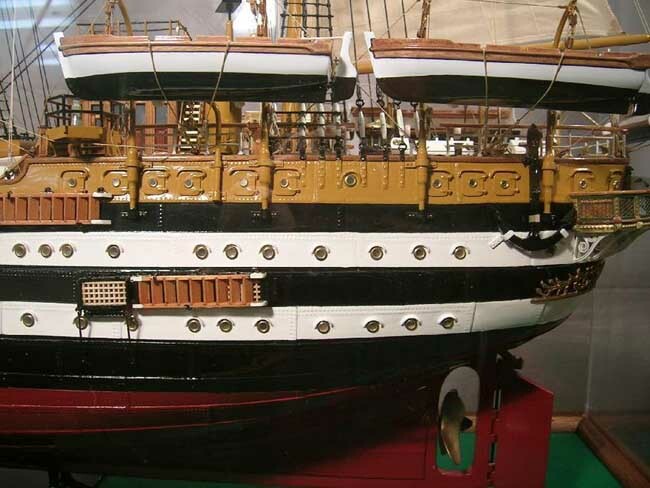 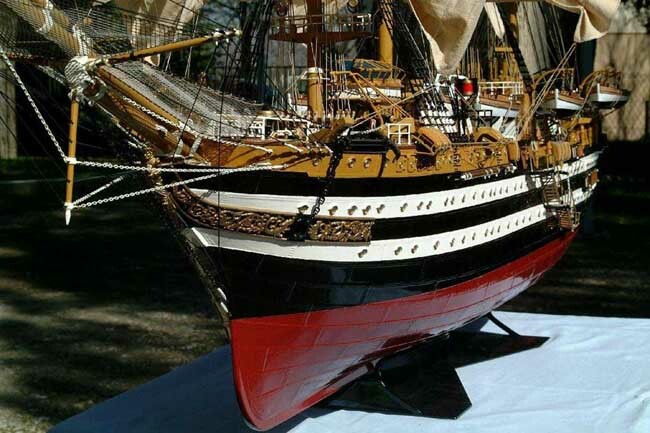 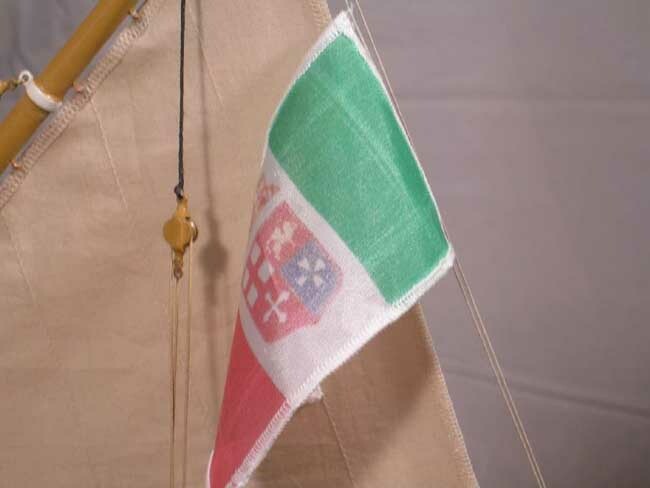 The model has been realized while respecting the original's characteristics and shape, after wide historic and photographic documentation, done in the Port of Livorno in 1998, obtained thanks to the availability of the Italian Navy and the Admiral, who kindly put at disposal all the ship's drawings. 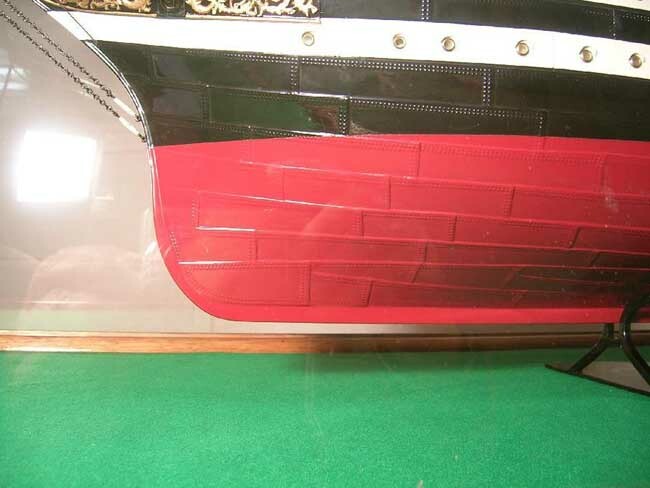 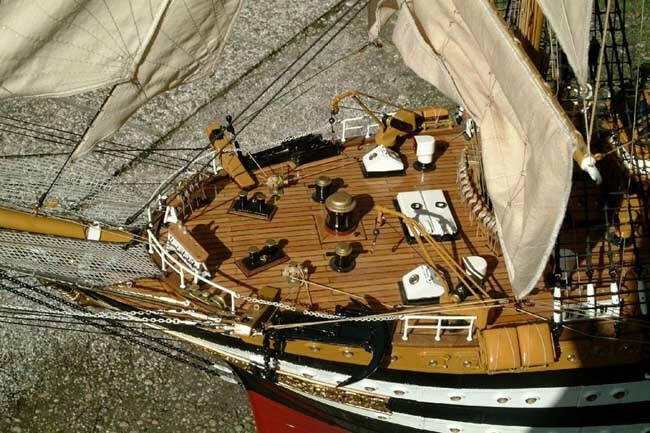 The hull is built in slat wood and dressed in copper, with hand made false nailed sheet, a perfect imitation of ships construction methods in the early '900. 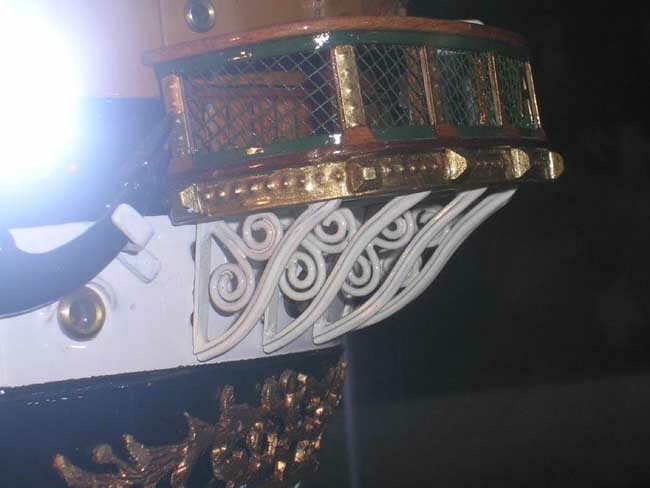 The ship's bridge was made in mahogany wood, the superstructures are copper handmade and subsequently painted including chains and anchors. 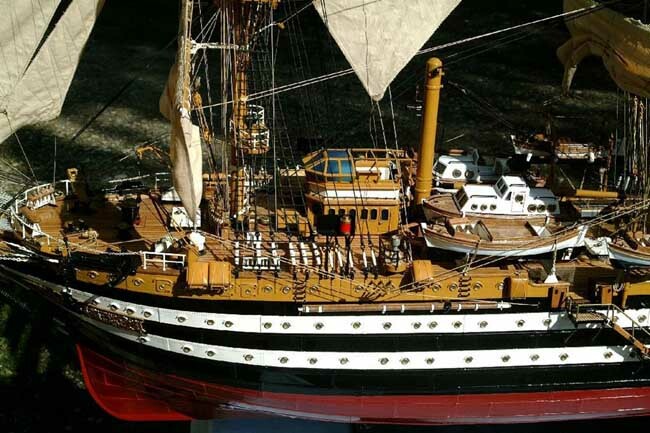 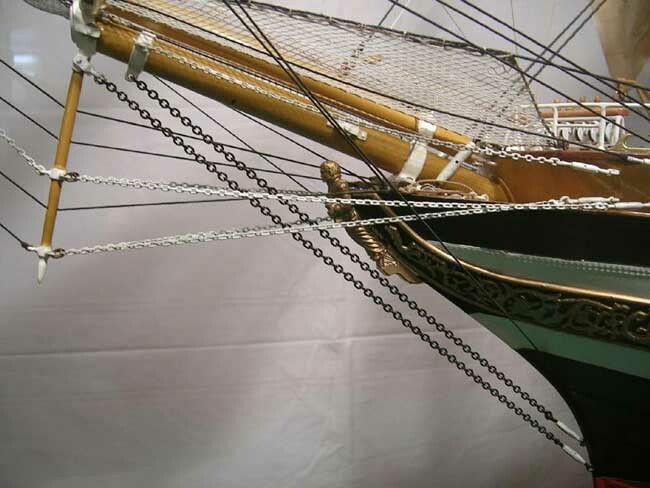 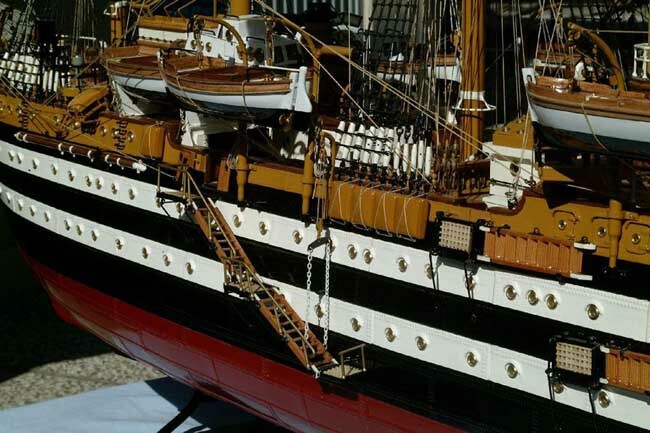 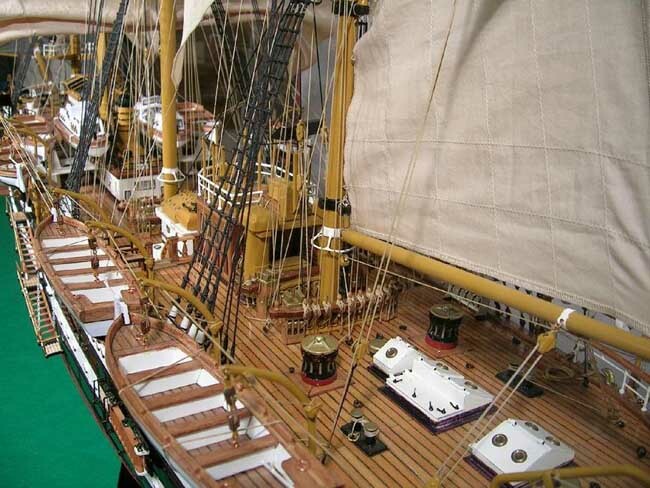 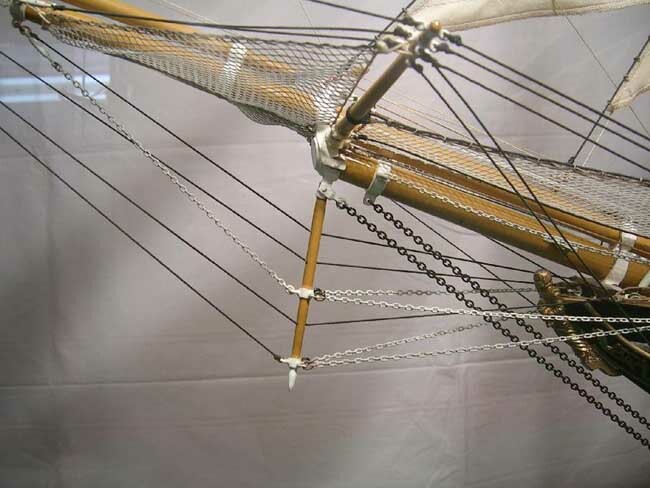 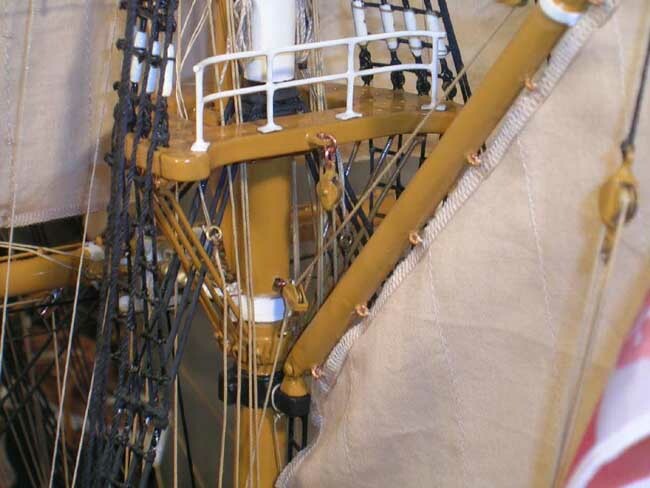 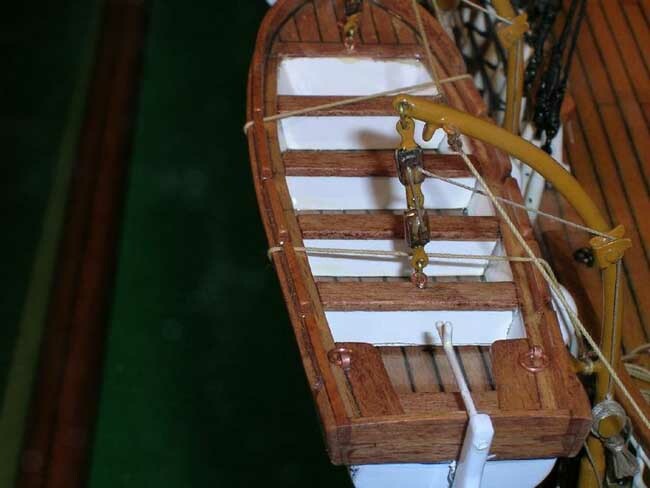 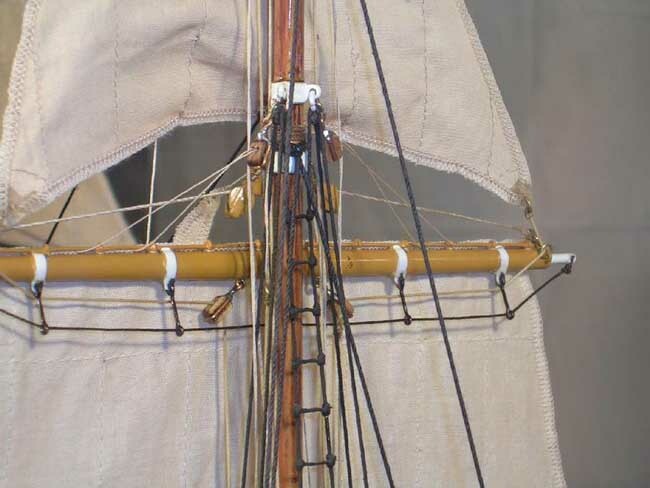 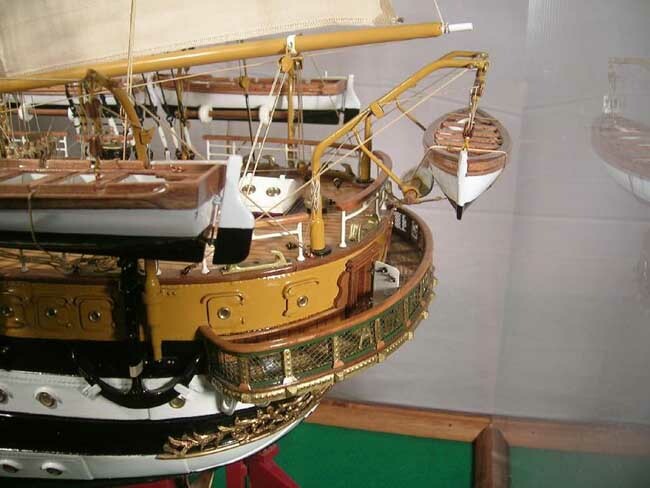 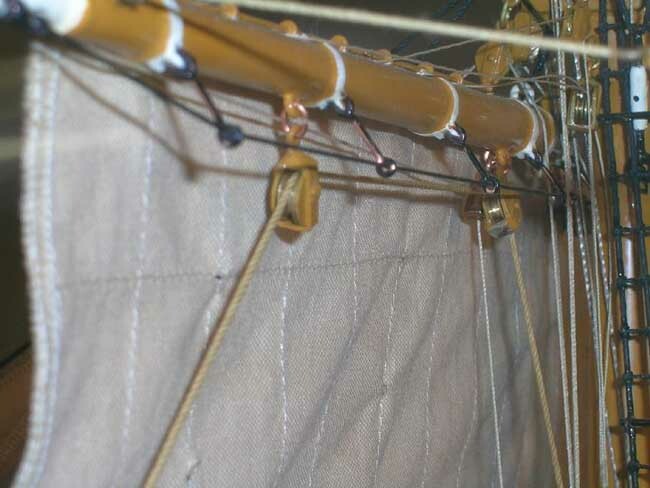 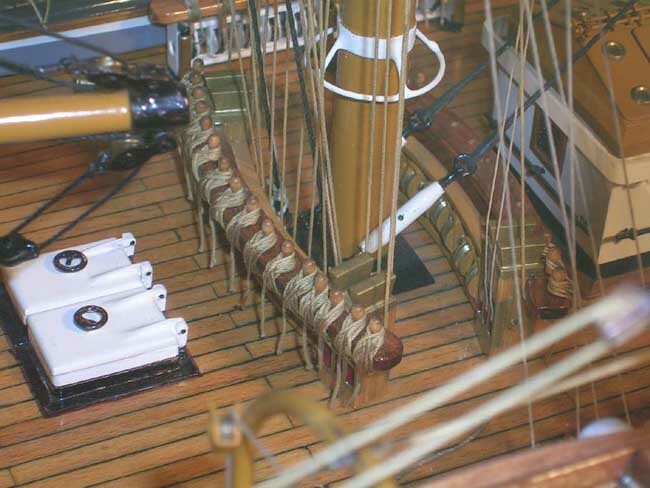 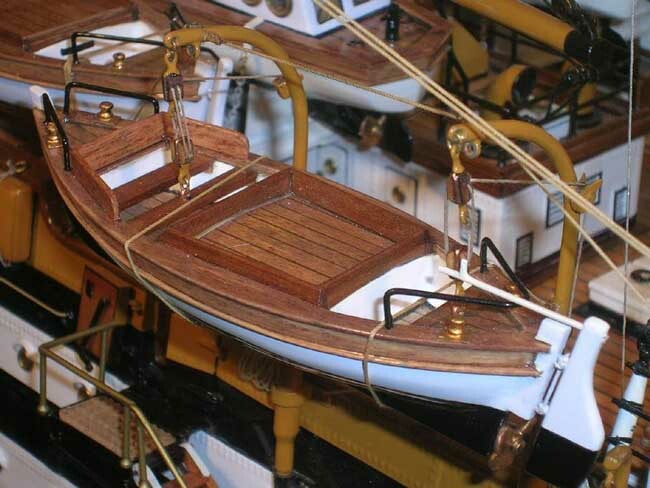 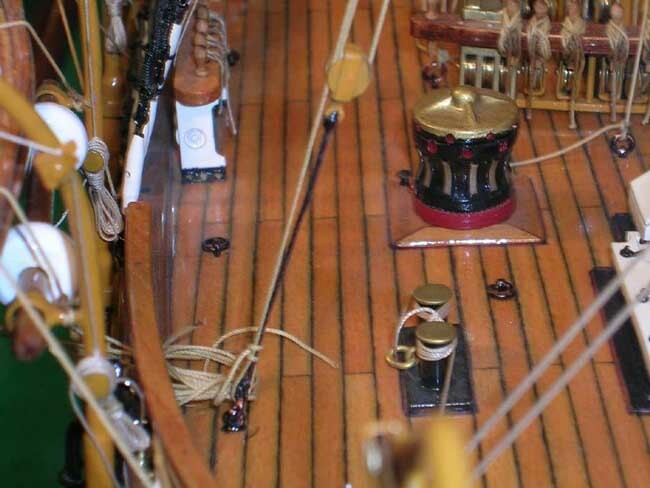 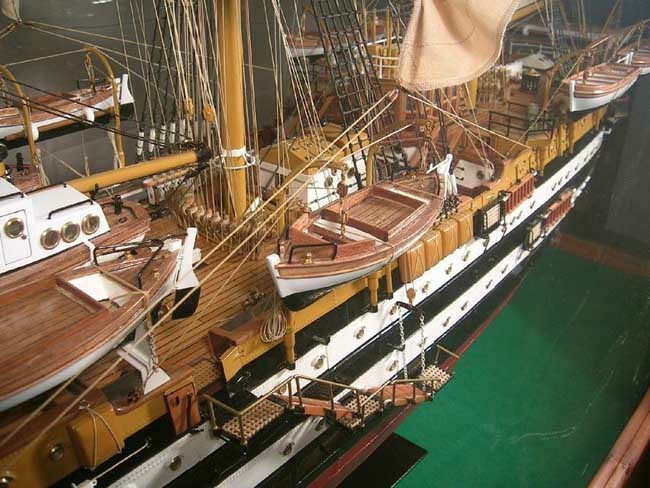 It took over 7000 hours to manufacture this model of the original sailing school ship including all details. 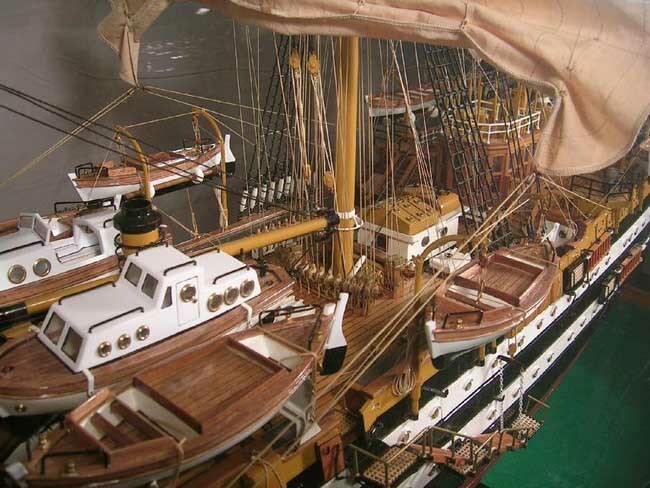 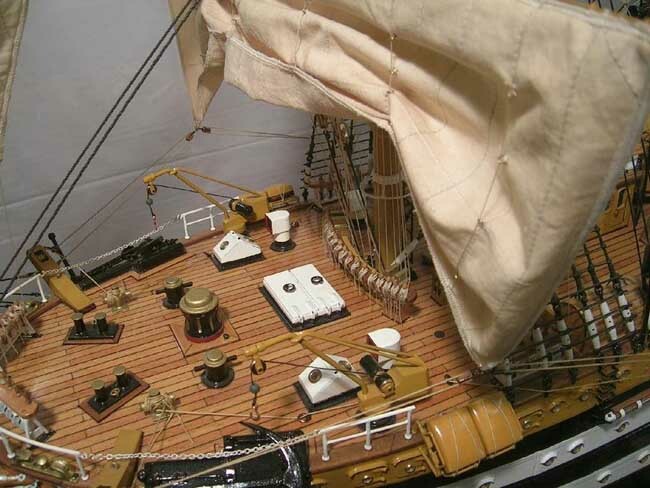 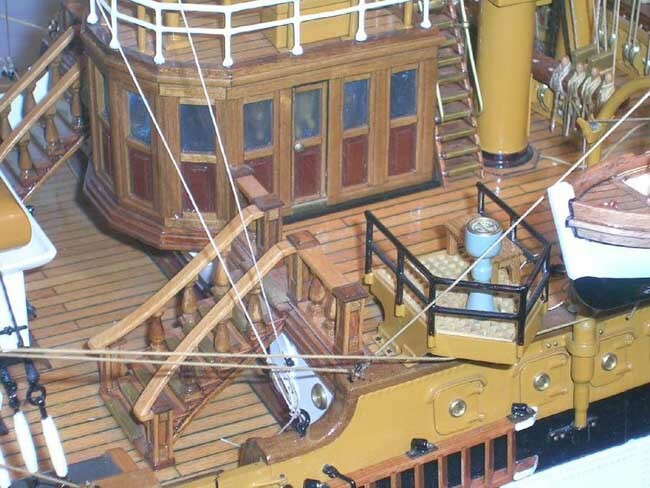 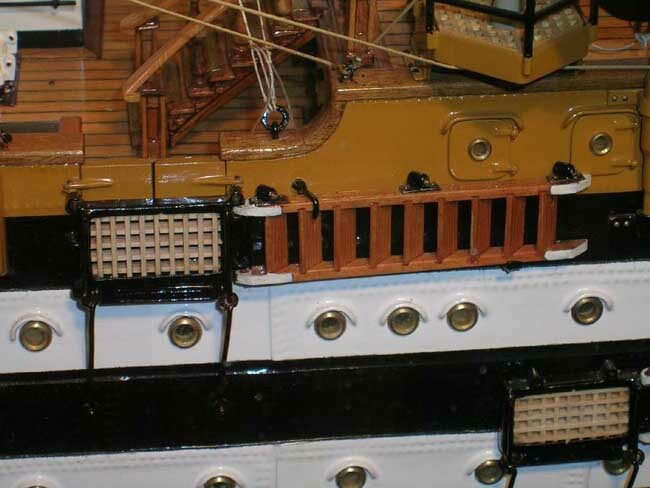 We are pleased to add this model to our collection of Model Builders here at the site.